Simple is so often best. 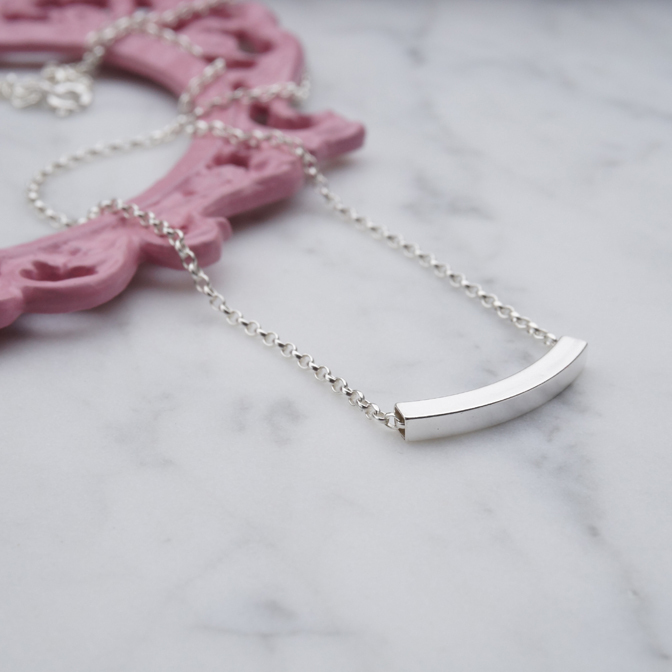 A curved, rectangular sterling bar floats on a classic silver chain. 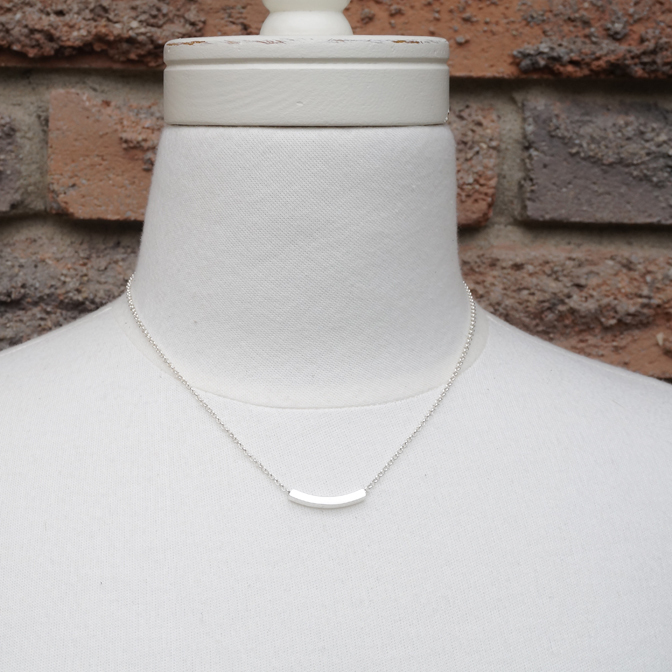 Simple and beautiful on it's own, but it would be an amazing statement layered with other pieces. • sterling silver rolo chain finished with lobster claw. • Perfect for layering, or to wear everyday on it's own! 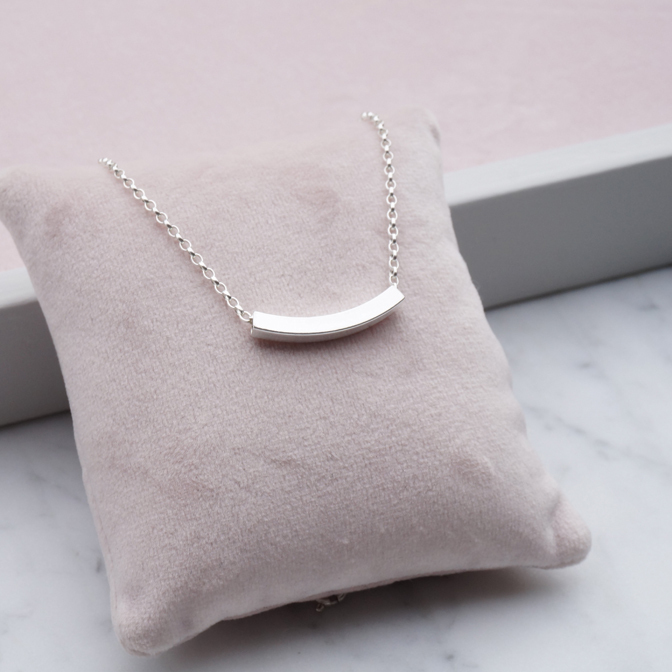 I love this simple piece - so great for layering with a lot of my longer favourites, to change up the look a bit. This necklace is my current favourite! It is understated but perfect for any occasion casual or fancy! This necklace is the best. 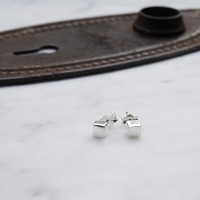 It's simple and elegant, and goes perfectly with the BellaSquared earrings. They are both staples in my jewellery wardrobe. This is the first necklace I purchased from Bellabagu and it's the one I put on most frequently. It's simple and elegant, I can dress it up or down, it's comfortable and still sturdy. I am always asked where I got this necklace, I think thats why I wear it so much: to promote Bellabagu!